Wishing you a happily haunted Halloween! 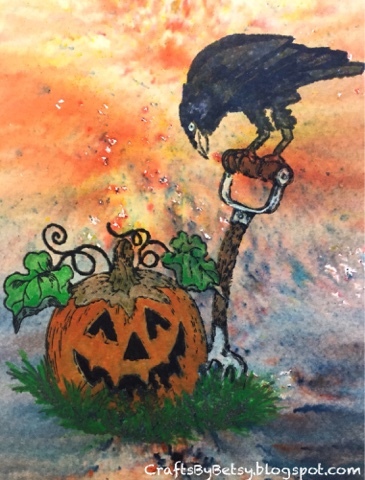 This was stamped on a Brusho background using a rubber stamp by Penny Black, halloween visit. Check back in the next couple of days for my October project! Leaves, leaves, nuts and leaves!